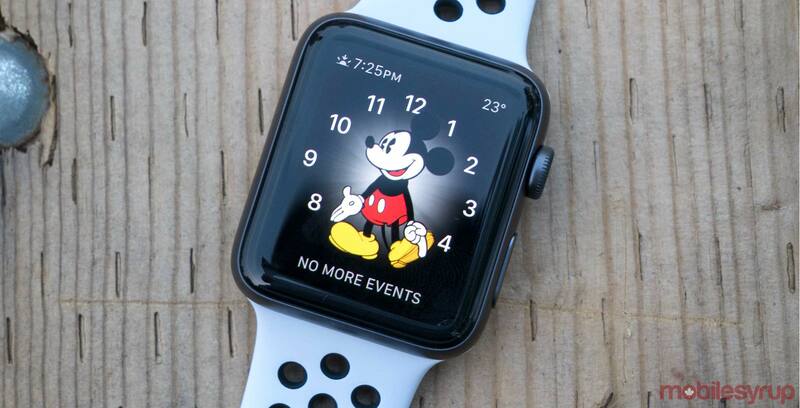 Office supply chain Staples is offering the Series 3 Apple Watch for as low as $299 CAD with a four-day Valentine’s Day sale. The retailer’s upcoming flyer has the device listed as being on sale from February 8th to the 14th. In the fine print the sale mentions that the 38mm ‘Space Grey’ and ‘Silver’ non-cellular variants are priced the lowest at $299. That’s a $70 discount on that model. The 42mm option comes in Space Grey and Silver too. This version of the watch costs $349, which is $60 off the regular price. This is one of the better Apple Watch deals I’ve come across lately, but Rogers does have it beat by a single dollar and a few features. Rogers is offering a Series 3 Celluar model in both sizes for $289 upfront, but you have to sign up for a monthly data plan.